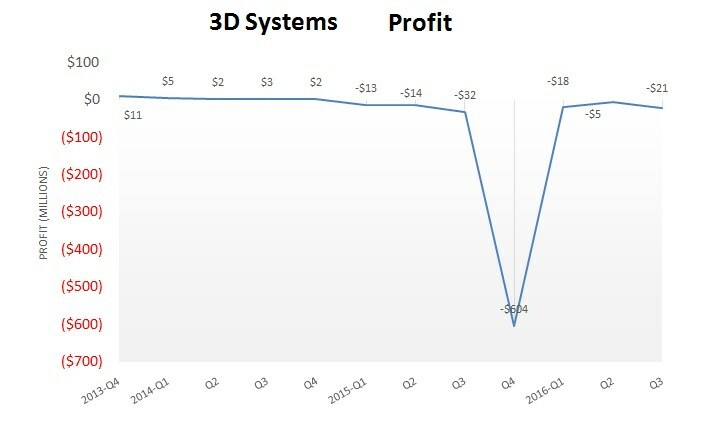 ROCK HILL, SC, Nov 4, 2016 – 3D Systems Corp. announced its financial results for the third quarter and nine months ended September 30, 2016. For the third quarter of 2016, the company reported revenue of $156.4 million compared to $151.6 million in the third quarter of the previous year. The company reported a third quarter GAAP loss of $0.19 per share compared to a loss of $0.29 per share in the prior year and non-GAAP earnings of $0.14 per share compared to $0.01 per share in the third quarter of 2015. 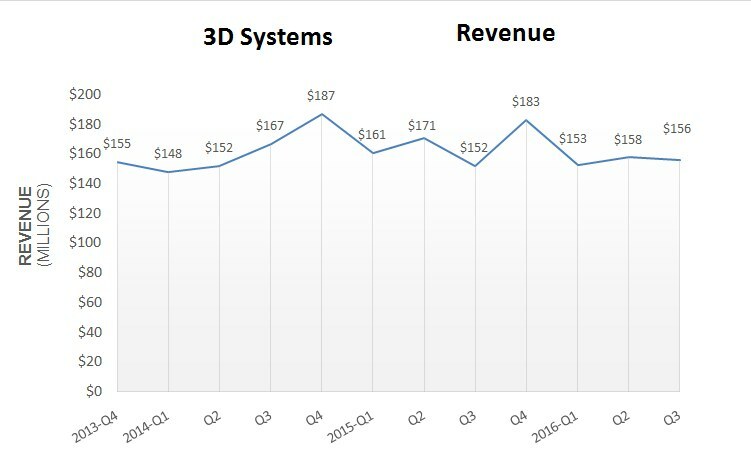 “We believe strong demand for our production printers, materials and software as well as healthcare solutions during the quarter is indicative of our growth potential and market opportunities,” commented Vyomesh Joshi (VJ), chief executive officer, 3D Systems. Gross profit margin for the third quarter of 2016 was 44.1%. Gross profit margin was negatively impacted by non-recurring charges of $10.7 million related to prioritizing products and resources, consistent with the company’s recently announced strategy. Excluding these charges, gross profit margin for the third quarter of 2016 was 51.0%. Gross profit margin for the third quarter of 2015, excluding discontinued consumer products, was 50.6%. For the third quarter of 2016, operating expenses were $91.0 million. Compared to the third quarter of 2015, SG&A expenses decreased 22% to $64.8 million on lower amortization and legal expenses. A $6.1 million non-recurring write-off of assets related to exiting projects drove a 16% increase in R&D expenses over the prior year period to $26.1 million. “We believe our synergistic portfolio of technologies, our talent and our 3D printing ecosystem uniquely position us to support complete digital manufacturing workflows to make 3D production real,” concluded Joshi. This entry was posted in CAD-CAM-CAE, Featured News on November 4, 2016 by Sharmila Guha.